Your credit score is a key indicator of how risky you are to lenders and creditors considering extending you a loan or line of credit. Because these entities don’t know you personally, all they have to go on is a review of your previous payment history and other related behavior. Your credit score will typically fall between 850 and 300 based on your credit history. Anything above 750 is considered excellent credit, but a score of 600 or below makes you a poor credit risk. One of the best ways that you can improve your credit score is by paying your bills on time. In fact, payment history is one of the primary categories reviewed by the credit card bureaus when determining your credit score. It accounts for 35 percent. Payments that are delinquent (even if only by a few days) can have a negative impact on your credit score. It can be beneficial to set reminders if you have trouble remembering which bills are due when. One way to do this is the old-fashioned method of writing the due dates on a paper calendar. If you prefer a more modern strategy, there are many helpful smartphone apps for bills and budgeting. By setting reminders for payment due dates, you are much more likely to pay bills promptly. Paying more than you owe each month on your outstanding debt balance can have multiple benefits, reducing your overall debt load and helping you to pay off balances faster. If you have more than one debt balance (such as several different credit cards), making more substantial payments on one account while continuing to make at least the minimum payments on the others can help you to focus on reducing these balances one at a time. Once you have fully paid off one balance, you can then focus on another, and so on, until you’ve fully paid off all of your debts. One of the other significant factors in determining your credit score is the amount of money that you owe compared to the amount of total credit available. Your total credit available is known as your open credit utilization rate. It’s best if you aren’t at or near your overall credit limit on your card(s). Utilization refers to how much of your available credit you’re using. It includes the percentage of each credit card, as well as the percentage of total available credit. Lenders and creditors pay close attention to a borrower’s utilization ratio. Borrowers with a high utilization rate are, on average, less likely to pay back what they have borrowed. Alternatively, someone with a low credit utilization rate will likely have a higher credit score. The amount owed on different types of accounts can also make a difference. For example, it is better to owe $50,000 on a mortgage than to owe $50,000 on a credit card account. Hot Tip: Paying down these loans can make a big difference in your credit score. For example, if you borrowed $20,000 to purchase a car, and have paid off $10,000 of that, you are viewed as being able to manage and repay your debt. Making sure your credit report is both accurate and up to date is one of the best steps that you can take in boosting your credit score. According to the Fair Isaac Corporation (FICO), the company that provides the credit score model to various financial institutions, the median credit score in the U.S. is 695. Half of those with credit in the U.S. have credit scores that are above this number, and half have scores that are below. There are several ways to obtain your credit report, including online services that also offer credit monitoring and identity theft protection. It is essential to be careful when seeking a copy of your credit report, though, as you can get lured into paying for services that you don’t want or need. Hot Tip: Every year, consumers are entitled to one free copy of their credit report from each of the three major credit bureaus. You can obtain your reports by going to www.annualcreditreport.com. Other free opportunities for viewing your credit report include if you are unemployed or on welfare, your credit report is inaccurate, or it has been less than 60 days since a lender or a creditor denied you credit. You could raise your credit score, in some cases significantly, by removing any incorrect information. If you have a low debt-to-income ratio, lenders and creditors see that you have a good balance between the amount of debt that you carry and the amount of income that you earn. On the other hand, a higher debt-to-income ratio can be a sign that you have more debt than you can support with your income. It makes you a higher lending risk. Hot Tip: Paying down debts can reduce your debt-to-income ratio and make a positive impact on your credit score. Having a balanced mix of debt can be better for your credit score than having all of your debt in a single type of debt. If you have a total of $150,000 in outstanding debt, it is better if it’s a mortgage balance, car loan, and some credit card debt versus $150,000 in unpaid credit card balances. The types of credit you have used will account for 10 percent of your total credit score. Your credit history factors into the strength of your credit score. This factor will average the ages of your loans, credit cards, and other lines of credit. A long history of credit offers a lender more information to assess your creditworthiness. A long credit history can also be an indicator that you have successfully been able to obtain and manage credit for an extended period. Be careful about applying for lots of new credit, especially if you don’t need it. Each time you apply for a new credit account, lenders pull a hard credit inquiry. 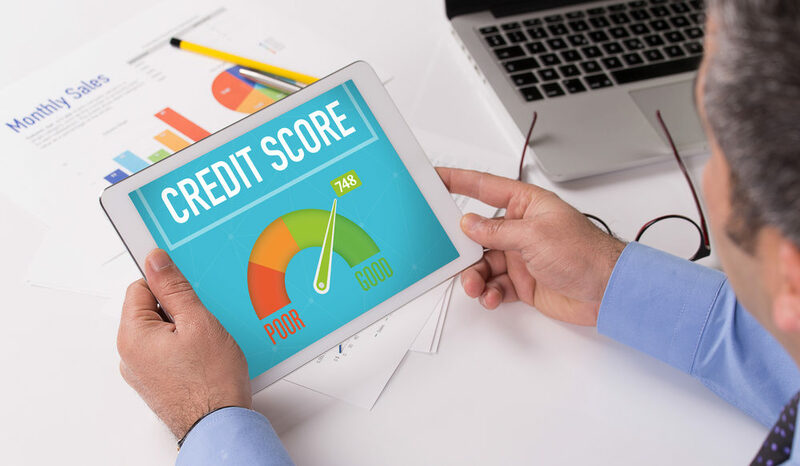 Too many hard credit inquiries can hurt your credit score, particularly if the inquiries take place within a short period. A soft credit inquiry can be made without your permission. Becoming an authorized user on someone else’s credit card account can improve your credit score. When you are an authorized user of a credit account, the account’s payment history appears on your credit report. If that payment history is positive, this could raise your credit score. Additionally, you will want to make sure that the cardholder you plan to partner up with does not have a high credit utilization ratio. Bottom Line: If you are considering becoming an authorized user to help build your credit score, there can be some risks if the strategy does not go as you had planned. Therefore, be sure that the primary account holder has a history of making their payments on time, and that they don’t have a high credit card utilization rate. Bottom Line: Just like other important areas of your life, there isn’t a one-size-fits-all way to increase your credit score. Get started by taking a good look at your debt obligations, and develop a plan that works the best for your specific goals. For most people, borrowing money and having good credit is a necessary part of life. Building a solid credit history and maintaining a high credit score is essential, and it can have a substantial impact on your overall financial life, both now and in the future. At Upgraded Points, we offer a wide range of information about credit and tips on how you can take the steps you need for attaining and maintaining a good credit report. We also provide reviews on a variety of different credit cards so that you can determine which may be the best option(s) for you. I’m a Walmart Associate and I recently applied for a card to help my credit score go up. I was denied and even with a paycheck to take the payments out of. Seeing that I work there, I can’t understand why I was denied. Thank you for sharing this informative post about how to improve credit score rating. It had many views I haven’t thought about before. I didn’t know that it affects on the rating in a negative way if you have a big loan from one place compared to a mix of different kind of loans. That’s very good to know. These things have been in my mind more after my friend lost his credit score and it had to be repaired. That surely is a difficult situation but I’m glad he’s okay now.